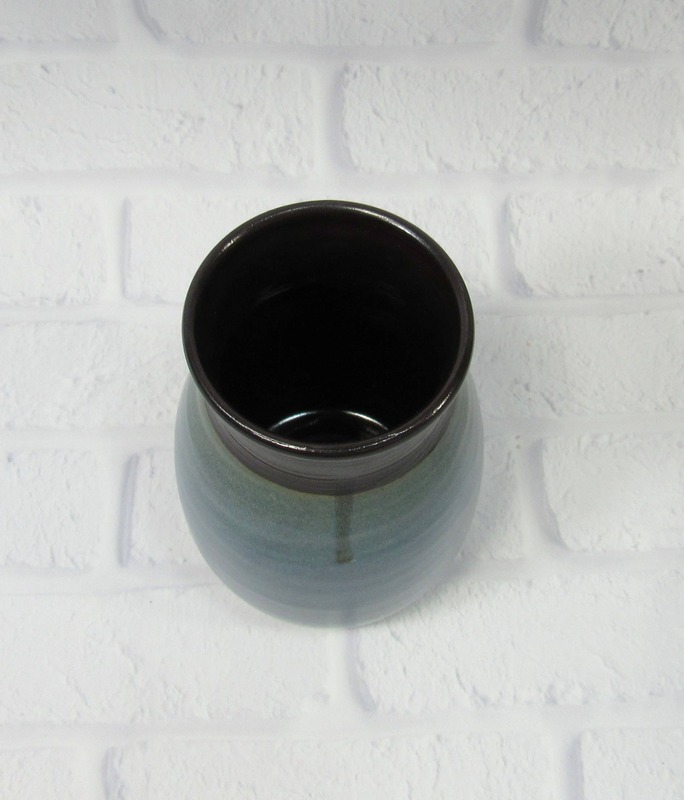 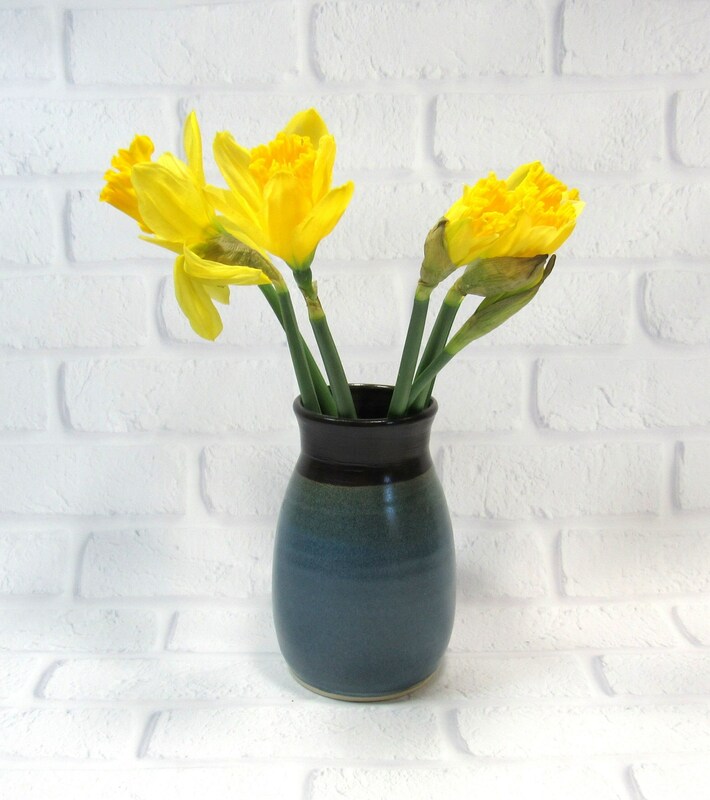 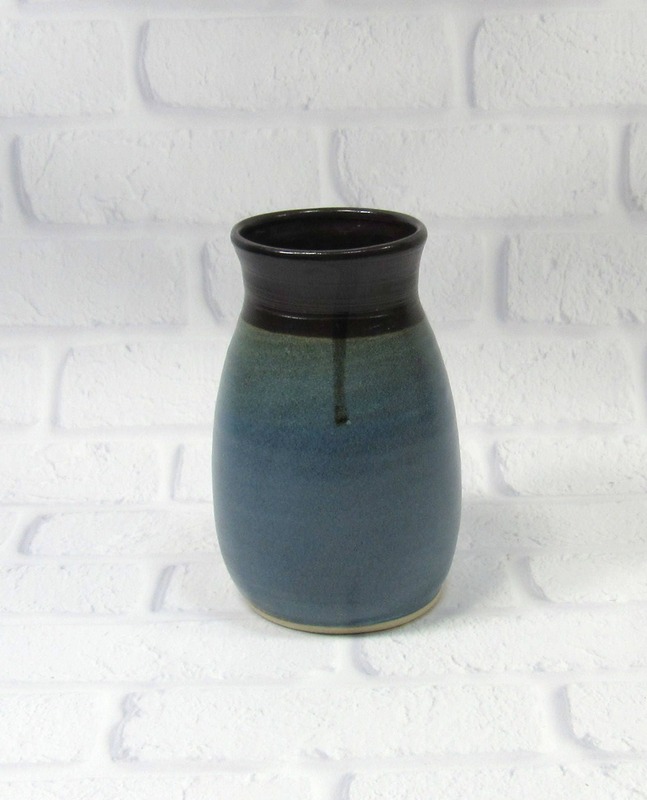 This ceramic flower vase is the perfect accent piece for your mantelpiece decor. 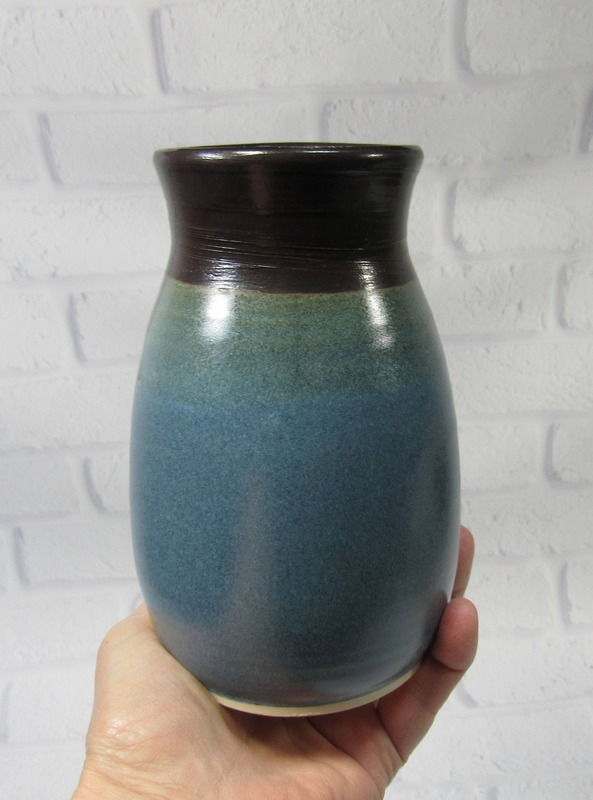 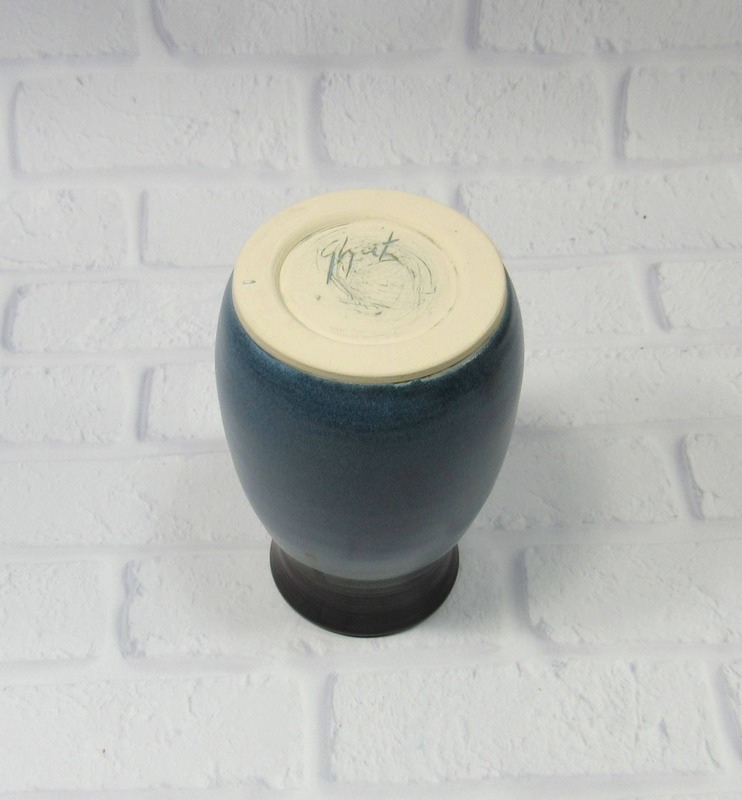 The blue and black pottery vase will make a beautiful statement holding your flowers and buds. 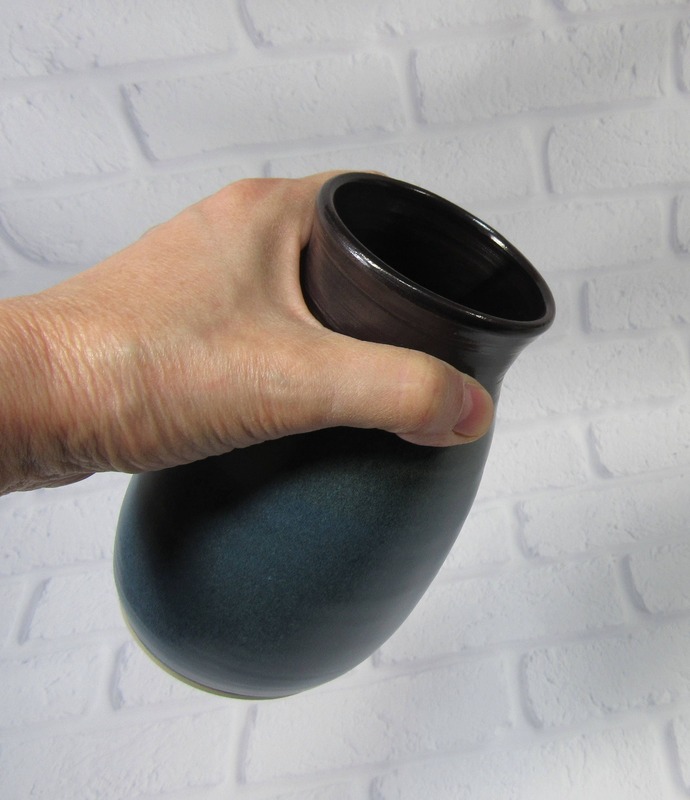 Use it also in the kitchen to hold your cooking utensils. 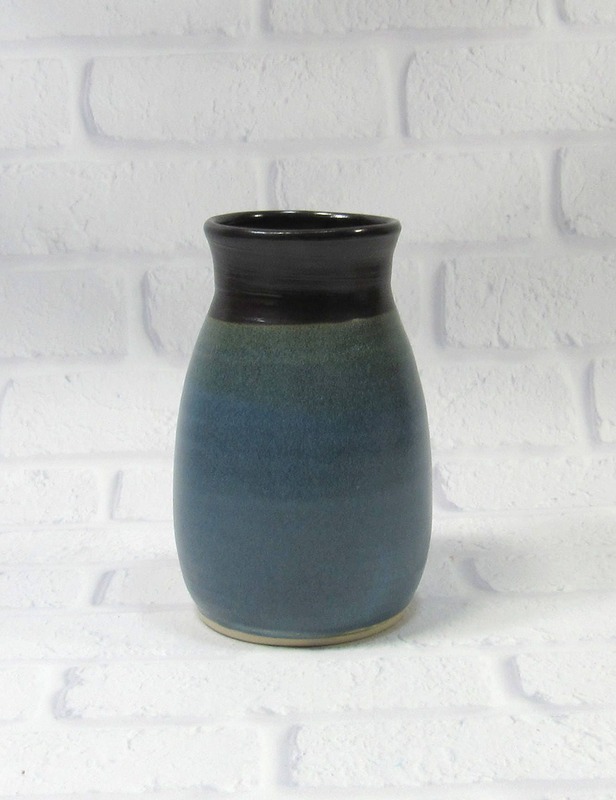 It can also be used as a sake jar or decanter for serving. 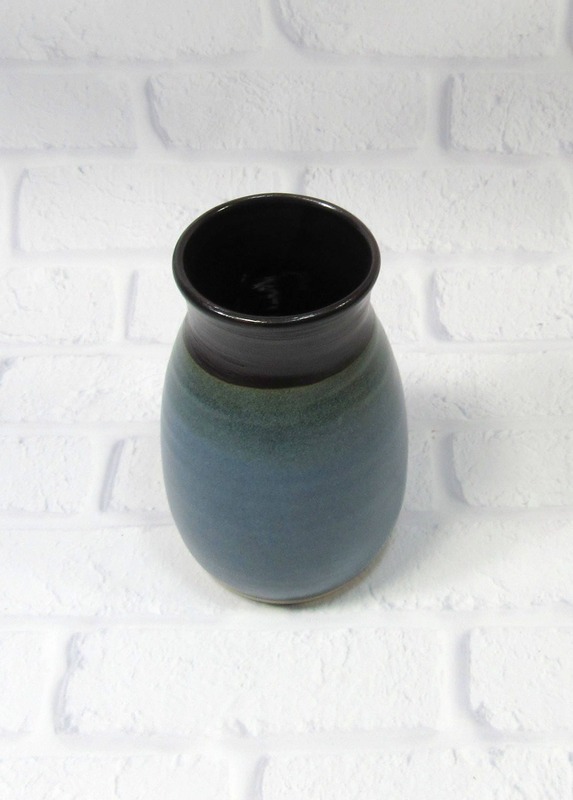 The vase is 5.75 inches tall and 2.5 inches in diameter at the mouth. 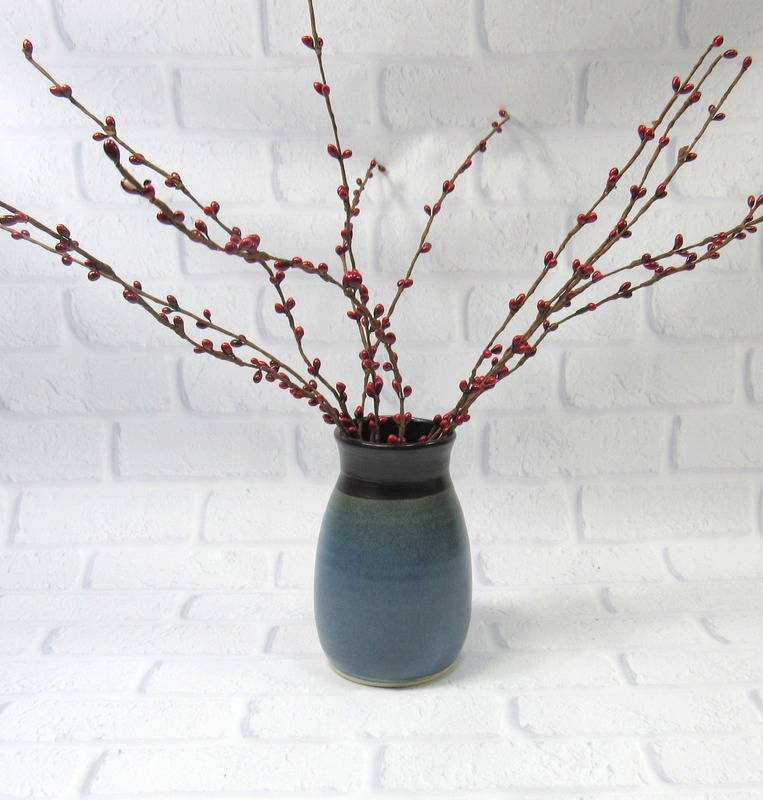 I made this flower vase on the potter's wheel in my Northern Virginia studio.